A couple from Llandrindod Wells in Mid Wales visited our showroom because they wanted to revamp their back garden. 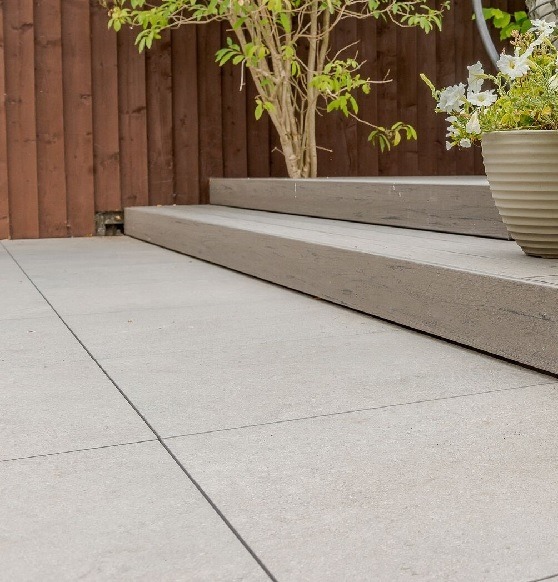 They were actually looking for deck boards, but they were so taken with our stunning porcelain paving slabs that they simply had to take a closer look. 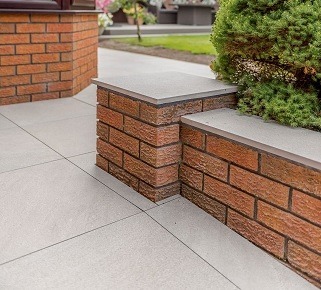 After some deliberation, the couple decided that PrimaPorcelain's Sandstone Grey paving would make an excellent addition to their new and improved outdoor space. They used our slabs to pave the patio area just outside their conservatory, and we also provided some extra tiles for the coping on their garden wall. 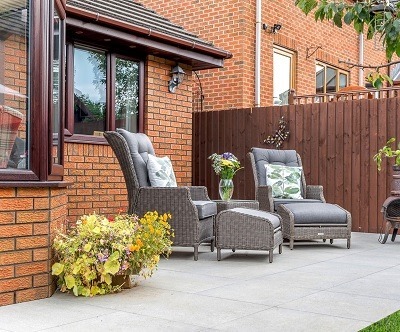 This lovely patio was originally paved with concrete slabs, but the quality of our low-maintenance paving - together with the 5-year guarantee that we offer as standard - convinced them it was time to make the switch to porcelain. The new paving was installed by their builder, and we think the results are just wonderful! “The results are better than we could ever have anticipated. 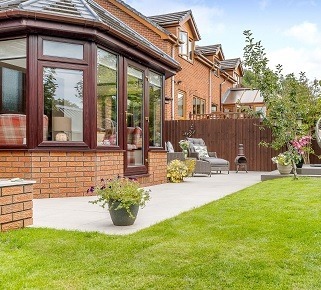 Our builder did an excellent job with a top-quality product - we've been in the garden more since the improvements were completed, and the paving is easy to clean and maintain." Would you like to use PrimaPorcelain paving in your garden? Contact us for a quote, or order up to 3 FREE samples from our extensive product range!